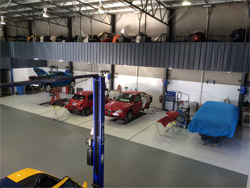 Our experienced panel beaters perform their work in our spacious workshop with the aid of the latest equipment available. 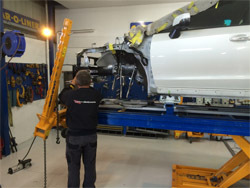 From large structural chassis alignments to small repairs all repairs are performed to standards of the highest quality and safety. Our panel shop is equipped with the Car-O-Liner BR5000 alignment bench and Car-O-Vision X3 electronic chassis measurement. These pieces of equipment coupled with the latest fully automatic inverter welders allow us to achieve the perfect result every time and return all vehicles back to manufactures specifications of quality and safety.